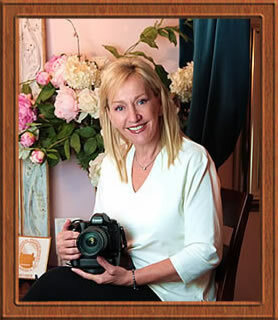 Welcome to the Daphne Weld Nichols Photography Studio Web Site! "Whatever the dream or desire you have for a portrait photography session, it is not outside the realm of possibility for me as your glamour photographer to help you achieve it." Greetings and welcome to my portrait photography studio website. It has been over 25 years since I started as a glamour photographer. After studying and learning the techniques of a portrait photography, I decided that I wanted to not only to specialize in portrait photography, but to also be a glamour photographer. My clients revealed their desire for more artistic, sensual female photography, to give their loved ones romantic photos as anniversary gifts for husband or a groom gift from bride or for other special occasions. To do what was needed to achieve these beautiful images from non professional models, I found myself more comfortable as a glamour photographer using natural lighting to increase greater communication between me and my subjects. Strobe lighting and reflective umbrellas are often distracting and interfere with a comfortable portrait photography experience, especially when shooting sensual female photography. The clients love being a little flirtatious and able to express themselves comfortably and happily when doing the groom gift from bride and anniversary gifts for husband sessions. I also launched Fantasy Photography studio, which is more boudoir and glamour oriented. But my work, passion, and my love encompasses many facets of portrait photography. Clients may come to the studio to do sensual female photography for a bridal shower gift, a groom gift from bride, and anniversary gifts for husband or glamour portraits for themselves. No matter the intention, when you do portrait photography you may spend the whole day with me and my portrait photography artistic staff. I usually do only one portrait photography session a day, except for business executive portraits and Internet dating head shots. After our initial consultation, I will help you develop and create the visions you have for yourself within your sensual female photography session. It may become a combination session of sensual female photography, elegant portrait photography, beautiful, individual or family portraits, classic B&W 1940's dramatic images, couple portraits of you and a loved one, or maybe romantic images of you for someone special. 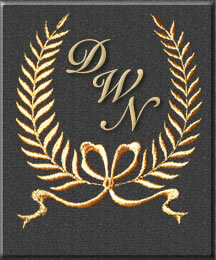 They are idea for anniversary gifts for husband, groom gifts from bride or a bridal shower gift from your friends. You can even be photographed with your favorite dog, cat, bird etc. So, whatever the dream or desire you have for a portrait photography session, it is not outside the realm of possibility for me as your glamour photographer to help you achieve it. I can do many styles and photographs for different occasions during a single photography session, ranging from a business executive portrait to sensual female photography which is ideal as groom gift from bride or an anniversary gifts for husband. Let me help you define your highest vision of yourself in a photograph for a loved one, family member or yourself to enhance your self esteem and confidence. or to set up an appointment! Daphne and her staff express sincere gratitude and appreciation to all our clients for allowing us to exhibit their photographs on our Web site. Visitors to our site have expressed how helpful it is to see the possibilities available for their session and find the before and after images especially helpful and encouraging.